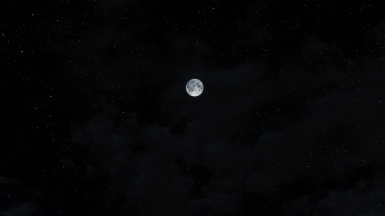 This retextures the moon and stars in the night sky. 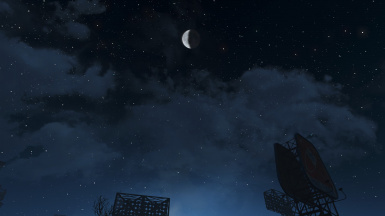 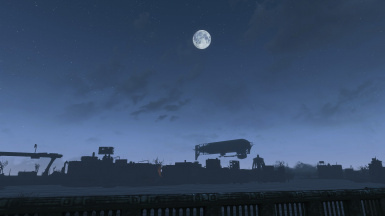 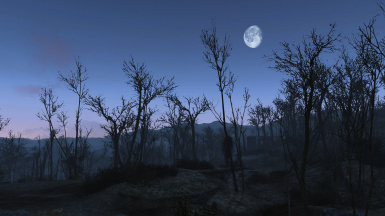 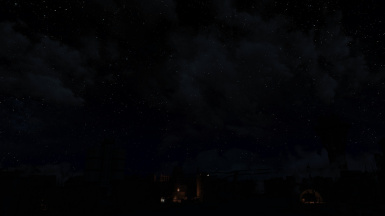 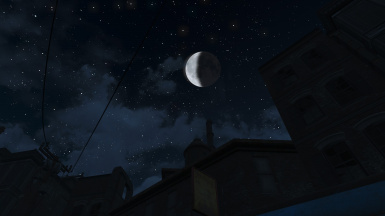 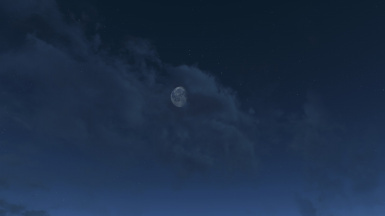 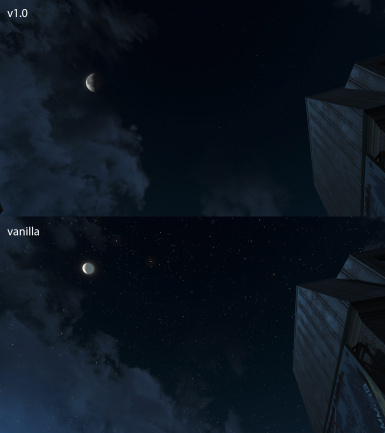 It also makes the moon larger, more FO3 size. 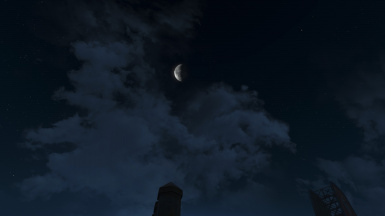 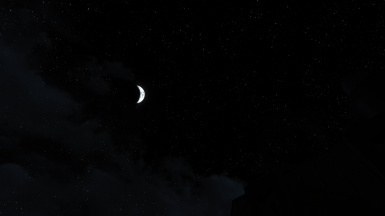 This retextures the moon and stars which appear in the night sky. 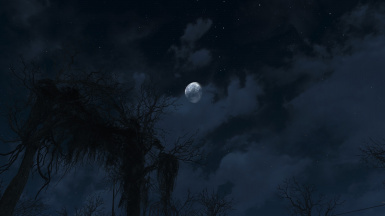 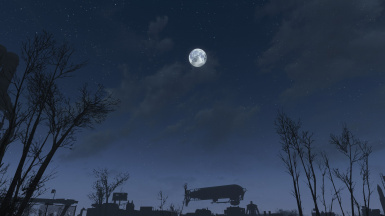 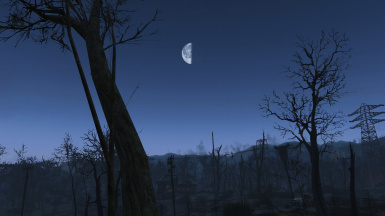 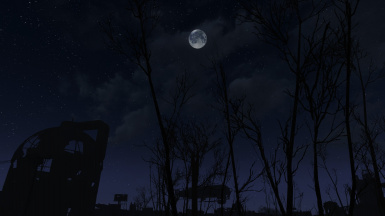 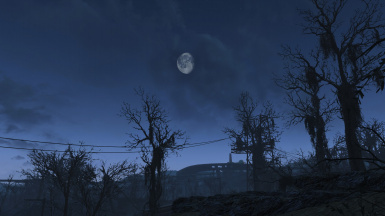 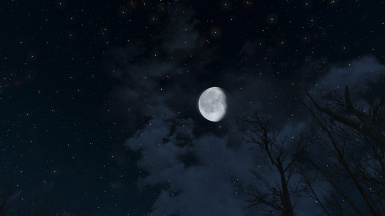 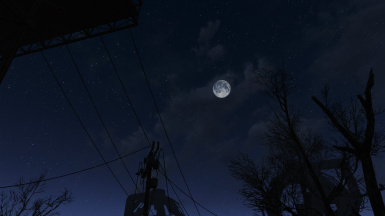 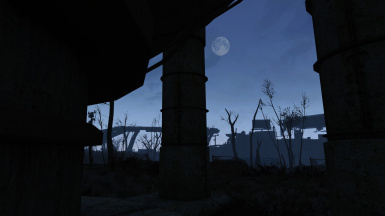 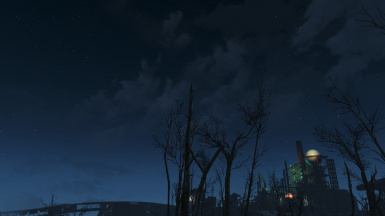 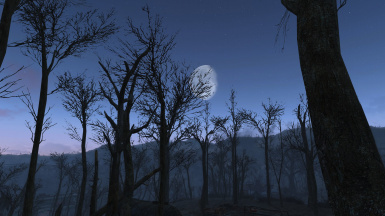 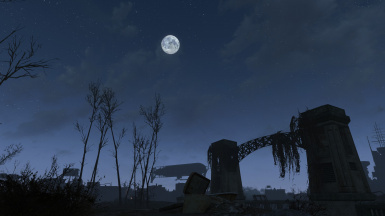 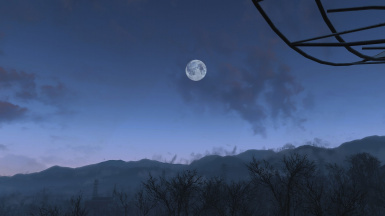 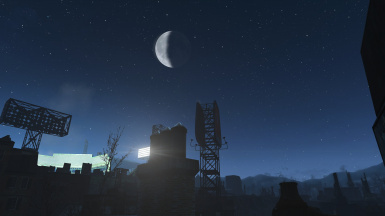 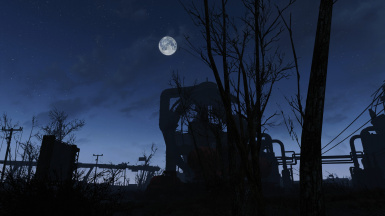 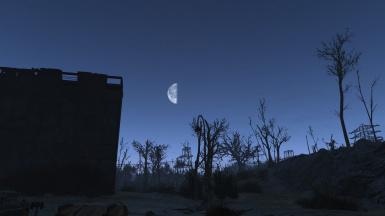 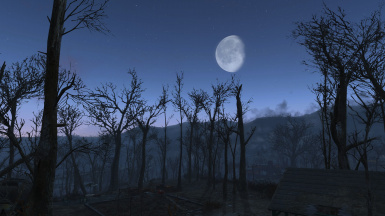 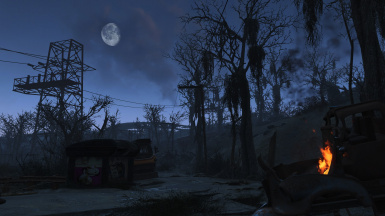 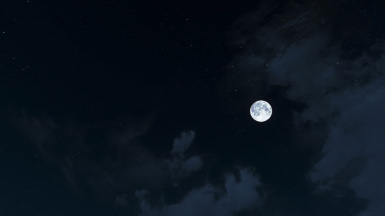 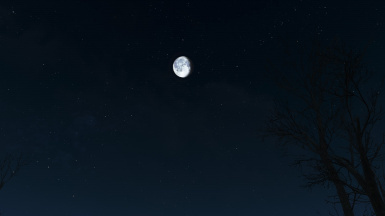 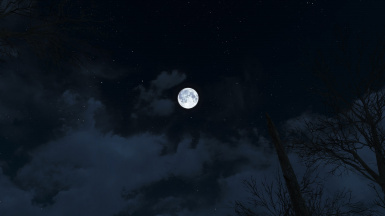 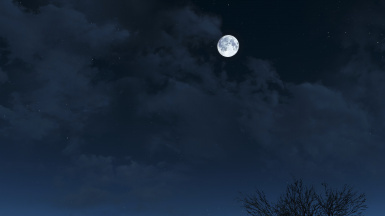 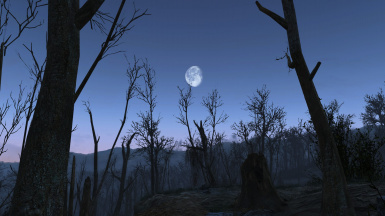 The moon has been sized to that of FO3 and FONV because I felt that the vanilla size was a little too small to create a big enough impact in the sky. 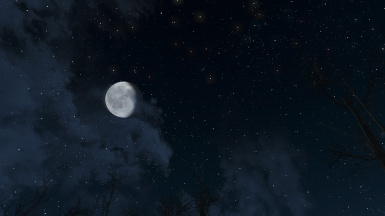 The stars are an optional download, should you only prefer using the moon or even just want the stars. 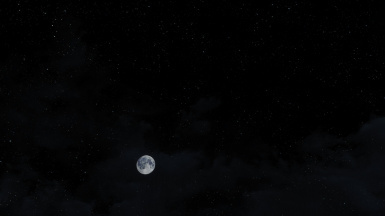 2.0: Made the moons brighter to stop them looking like the Death Star. 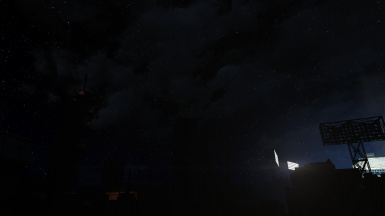 Cleaned up the alphas and worked on the glow more. 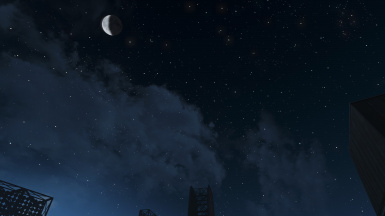 Made the stars more dense and colourful. 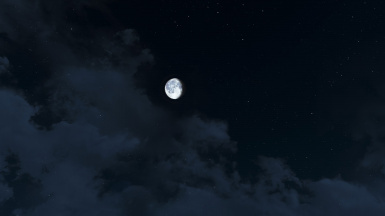 3.0: Made the moon from scratch using a more hi res image, that's why there is now a 2k version and now the moon is in colour because I thought why does it have to be in monochrome shades and I like it a lot more now because of this. 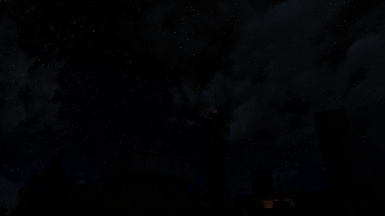 Improved the glow to look like a halo effect. 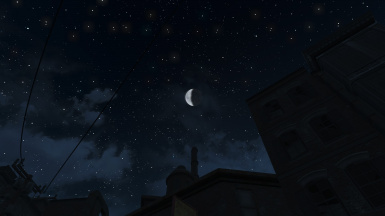 Made the stars have constellations (credit, thanks and kudos to LucyBlue for suggesting the idea). 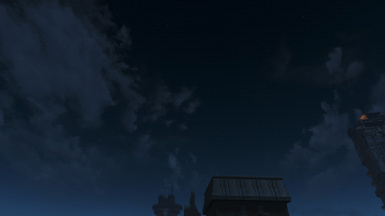 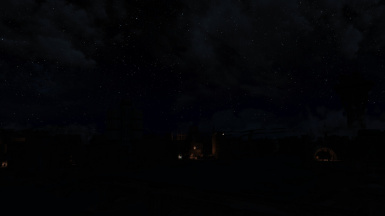 I took a image of the northern hemisphere sky and used it for the base of the stars texture. 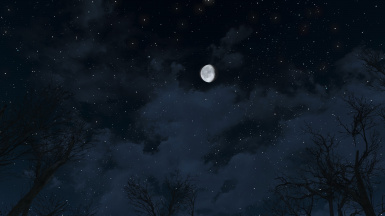 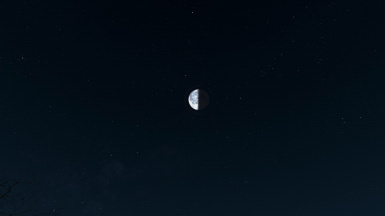 It will not display in game as it is in the real night sky because of the way the sky is tiled but neither the less they look a lot more convincing with tiny coloured stars adding to the depth. 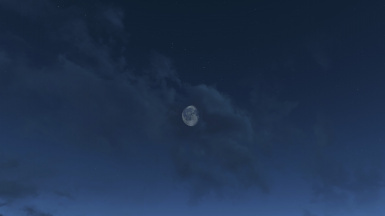 4.0: Redid the moon texture from scratch using a higher definition image, there are no longer any artifacts around the circumference. 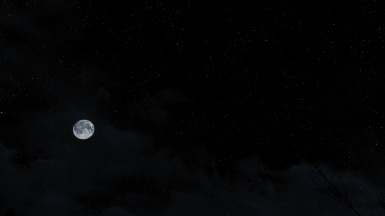 Made the moon shadows darker for a more realistic effect. 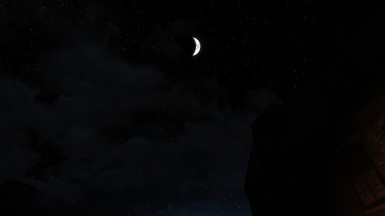 Improved the moon glow, even though it won't show up in the images for some reason. 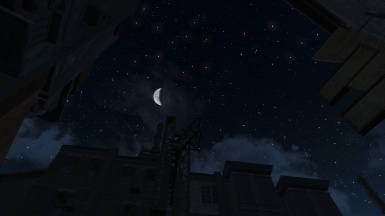 Made the stars more dense with more of an appearance of depth and also added a splattering of coloured stars to the night sky to make it more interesting. 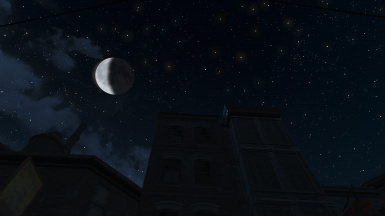 I gave the stars the impression of constellations because using real ones doesn't work too well with the way that the vanilla sky lays out the textures and it kind of looks too noticeably tiled. 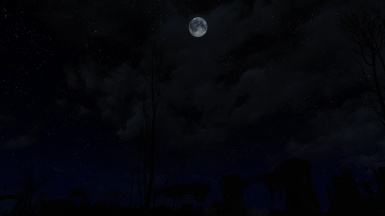 Install with MM or MO. 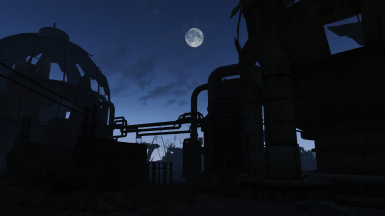 Many thanks to vatiwah for including version 1.0 in his brilliant review.